Kate and Betty had once been inseparable, best friends in league against the adult world as they grew up together in the rough beauty of the North Yorkshire countryside. But time had, inevitably, drawn them apart, Betty going to Oxford, becoming a successful London lawyer, marrying an ambitious Tory party candidate, whilst Kate opted for a life largely consumed by domesticity and motherhood. When, years later, they meet again, they still enjoy each other’s company – though their husbands are less well suited – and, despite the difference in their lives, stay in touch. 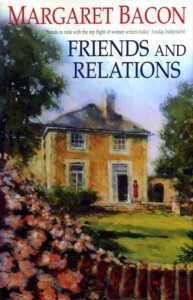 It is in a spirit of helpfulness that Kate suggests that Claire, the newly graduated daughter of another childhood friend, Chrissie Newbould, might be suitable for the position of secretary to Betty’s MP husband – a suggestion that is to have a devastating impact on all their lives, throwing a merciless spotlight on the choices each of them has made during a decade of ruthless change. 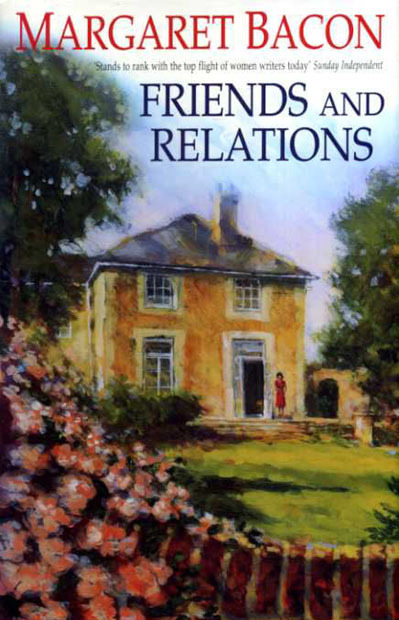 As sharply written, sensitive and perceptive as Margaret Bacon’s previous highly acclaimed books, Friends and Relations is a moving and thoughtful novel of how three women construct their personal lives amid the shifting, often destructive social forces of the outside world.